Please ring us anytime for prices on our premium natural latex mattresses as prices often change due to import prices of raw Natural Latex. At the moment we have Queen 6 inch mattresses for $1775 and 8 inch $1975. Yes we can make any size you require. All sizes available. 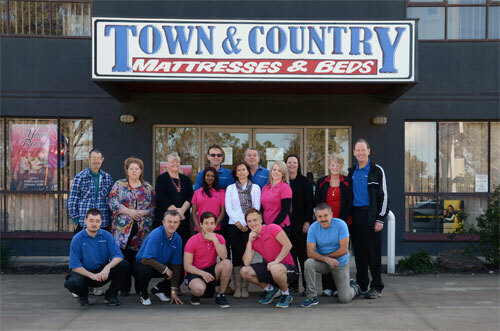 We Custom make Mattresses, Upholstered and Timber beds in either Posture Slat or Electric Adjustable styles to give you the Ultimate Sleep experience. In home set up, and after sales Service Available Australia Wide. Electric Adjustable beds are the best way to sleep for young and old. If you sleep with head and foot slightly inclined it will help to..
Stop snoring with easier breathing and eliminate acid reflux. Ease pressure on lower spine and back. Better relaxation of heart muscles and increased blood circulation. Beware a lot of cheaper Chinese latex is made with synthetic hardners to make it seem natural, however this type of latex deteriorates within a few years. Latex Gold® has been made since 1910 and will last 30 years Plus. Also beware of so called European 100% natural latex. In Europe latex which is 50% natural and 50% synthetic is marketed as natural, we think this is wrong but it is just the way it is. Our raw latex comes from http://www.arpicolatexfoam.com/ a company that has been supplying natural latex into Australia for nearly 100 years and they only produce real natural latex. Although dust mites can not live in natural latex If you have a fitted cover they can live in this, that is why being able to take the cover off and cleaning it every 12 months or so will keep the dust mites away. Please do not confuse solid pin core natural latex which is the premium product with pillow top latex with springs. Adding springs is a cheaper way to go and sometimes the latex they put in can be as little as 6mm (1/4inch) thick and they still promote them as latex beds. Latex Gold is a pure and natural foam which features in our range of natural chemical free mattresses. It contains natural antibacterial properties to help maintain a healthier sleep environment and anti-allergenic properties which is great for asthma and hay fever sufferers. Latex Gold moulds to your unique shape to give support to the contours of your body whilst maintaining breathability with its superior air flow circulation. This helps prevent moisture build up and the development of mould in your mattress while you sleep. All this whilst being produced from carefully managed and sustainable sources. We also sell a great range of pillows, electrical adjustable beds, and hi lo beds.